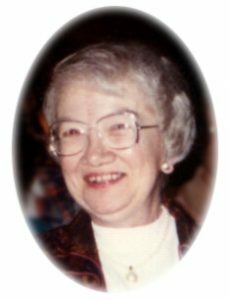 Betty M. Schroeter, age 82, of Port Washington, WI, formerly of Menomonee Falls and West Bend, passed away peacefully Saturday, December 31, 2016 at the Harbor Club where she has resided the past few years. She was born on November 23, 1934 in Milwaukee; daughter of Walter and Mildred (Hanson) Henschel. Betty graduated from girls Tech High School and worked as an elevator operator for Wisconsin Power and Light when she was young. On December 5, 1959, she married Franklin M. Schroeter of Sheboygan at Sherman Park Lutheran Church in Milwaukee. For over 40 years, the family lived in Menomonee Falls. Betty was a homemaker raising her children. They were members of Grace Evangelical Lutheran Church there. More recently, Betty and Franklin moved to West Bend for ten years. There they attended Pilgrim Lutheran Church. In 2010 they moved to Port Washington. Betty is survived by her husband of 57 years Franklin, her children Sue (Mike) Borchardt of Waubeka and Larry (Dawn) Schroeter of Iron Ridge; grandchildren Cristal (Nic) Gilbertson, Domonic Heine, great-grandchildren Blake, Ethan, Joe, Antonio and Jake. She is further survived by her brother Robert (Doris) Henschel of Dousman, nieces, nephews, other relatives and friends. Preceding her in death are her sisters-in-law Madeline (the late Walter) Haack and Almira (the late Everett) Leonard. Memorial funeral services 4PM Monday, January 9, 2017 at the POOLE FUNERAL HOME/Crematory, 203 N. Wisconsin Street, Port Washington, WI. The Reverend Joseph Fisher of Pilgrim Lutheran Church of West Bend will officiate. Family will receive relatives and friends from 2-4 PM Monday AT THE FUNERAL HOME prior to services. Interment will take place in Wildwood Cemetery in Sheboygan. Memorials to the Brain Injury Alliance of Wisconsin (6409 Odana Road, Suite 1H, Madison, WI 53719) appreciated. POOLE FUNERAL HOME/Crematory, Port Washington assisting the family. Information and condolences available at www.poolefh.com or 262/284-4431.